Choosing premium quality padding is really crucial to get you the desired comfort and convenience with your carpeting job. Many people ignore the importance of good quality padding and this is why they fail to get the desired results, despite buying the best carpet in the market. On the other hand, some people even completely ignore padding and install carpets without it, which is a poor idea. While buying the carpet padding for your room, you should not consider saving money; instead, you should go for the best one. This sheet is made out of foam & rubber and helps hiding any imperfections on your floor too. The padding also enhances your privacy by absorbing sound. Carpets come in a range of designs and types. There may be plain carpets as well as textured ones, suitable for different setups. For instance, if you have textured walls, it would be a good idea to look for plain colored carpets in contrast with the walls and/or furniture. On the other hand, if the walls are slightly textured or are plain in color, you can opt for textured carpets. For a bedroom, it would be a better idea to opt for a thicker carpet. The popular types of carpets include Frieze, Saxony, Plush, Berber, Textured and many more. If you are confused about choosing different types of carpets for different rooms across your home, you should consult a professional interior designer in Pakistan to help you with that. The kind of carpet you choose for your home also depends a lot on your budget as well as the maintenance requirements of each kind of carpets. Sometimes, you do not need spending a fortune on even the most impressive and luxurious carpets. You should shop around and look for the stuff and rates to make the best choice while not blowing your budget. 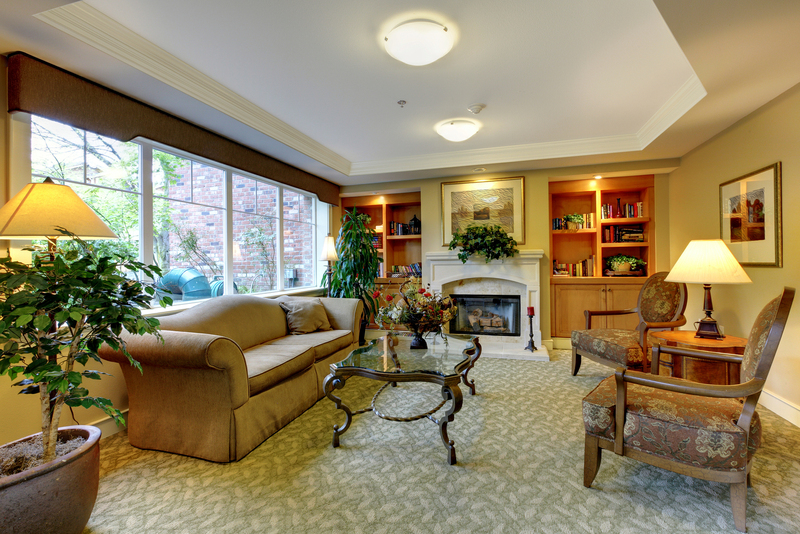 Besides, while deciding the type of carpet for your home, you also need to keep in mind its maintenance requirements. As for the living room, you need buying a carpet which is easy to maintain. Besides, if you have pets and young children at home, you will have to choose the carpet which is easiest to clean. You can ask the salesperson to guide you regarding the cleaning requirements of each carpet, so as to choose the best one for you. A reputed interior designer and architect in Lahore, AmerAdnan® is of the opinion that carpeting, whether for home or for office use, should always be washable and preferably stain resistant to avoid any inconveniences in the long haul.